Our affordable Rectangle Acrylic Ice Block Award is perfect for any occasion! 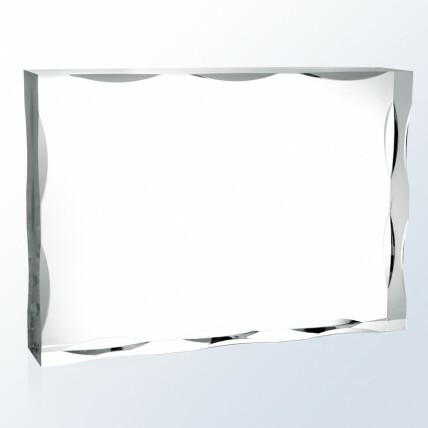 This sleek and simple clear lucite award features a waved beveled edge. Include your customized text and logo in frosted white laser engraving for FREE! Please specify size and orientation when ordering. 5" x 3", 6" x 4"